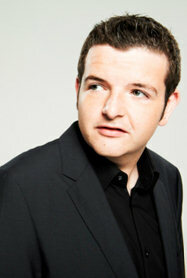 Kevin Bridges is Brilliantly funny and one of the hottest comedy acts in the UK. today with sell out shows at the Edinburgh fringe and arenas around the country. Despite having not set foot in a comedy club before his first open mic spot in 2004, Kevin’s natural gift for comedy ensured he quickly became a regular at major comedy clubs up and down the country including The Comedy Store, The Stand, The Glee Club, and Jongleurs. 2005 saw Kevin reach the finals of every New Act competition, most notably Channel 4’s ‘So You Think Your’e Funny?’ In 2006 Kevin performed his first full length solo show at the Glasgow International Comedy Festival, to a sold out audience and much critical acclaim. Moving into bigger venues every year, Kevin continued to sell out his hometown festival in 2007, 2008 and 2009. As well as having a strong hometown following, Kevin has taken his style of observational, cutting edge comedy all over the globe. He has performed throughout Ireland, Holland, Belgium, Switzerland, Germany, Spain, USA and Canada along with tours of the Far East and Middle East. Kevin appeared on “The World Stands Up” and “The Comedy Store” (Comedy Central) which led to his first big TV break as a guest on the first series of “Michael McIntyre’s Comedy Roadshow” on BBC ONE, which aired to over 5 million viewers. It led to Kevin being the fastest act to sell out all 28 nights of his 2009 Edinburgh Festival run and adding a staggering 15 extra shows, which also sold out! A favourite with the punters but also the critics, Kevin received 5 star reviews and a nomination for the prestigious Edinburgh Comedy Awards “Best Newcomer”. Kevin’s astonishing rise to success continued in 2010 – he recorded his debut DVD at a sold out Glasgow SECC arena in front of 10,000 fans, became a regular on hit new comedy show “Stand Up For The Week” (Channel 4), headlined the first episode in the second series of “Michael McIntyre’s Comedy Roadshow” (BBC ONE) and also hosted an episode of the forthcoming sixth series of “Live At The Apollo” (BBC ONE). In the six part BBC1 series entitled Kevin Bridges – What’s The Story Kevin travels the UK and America explaining the stories behind some of his best known comedy routines. The half hour show sees Kevin joined throughout the series by special guests including Micky Flanagan, Jack Whitehall, Sarah Millican, Jack Dee, James Cordon and Frank Skinner. After selling out his first ever solo tour this Spring and performing at the Edinburgh Fringe 2010 to packed out crowds at the prestigious Assembly Rooms, Kevin added countless extra shows to meet demand. The Autumn 2012 UK and Ireland tour, Kevin Bridges – The Story Continues…, has smashed box office records for opening day ticket sales. A staggering 45,000 tickets were sold on the first day, selling out the five show run at the Glasgow SECC Arena, and extra dates have already been added to the tour. Neil Drover was pleased to book Kevin as a presenter for two Oil Achievement Awards Dinner in Aberdeen where Kevin was his usual brilliant self hosting the awards with aplomb.